Here at Barguse Riding Centre, we not only provide informative riding lessons on our school horses but also cater for the private horse owner who wishes to develop their skills further. We are proud to be able to offer access to some of the top trainers in both dressage and jumping. Barguse is unique in being able to provide training for all levels of rider from complete beginner to the most experienced horse owner. Lisa first began her riding career concentrating on BS jumping and BE eventing. However, her passion for dressage was triggered after she was fortunate to take some lessons with the late Franz Rochowansky (former Chief Rider of the Spanish Riding School) as a teenager. Thus, began a long and at times painful journey discovering the intricacies of dressage and the various training techniques. Some more successful than others!! Lisa has been fortunate to have had training with some of the UK’s top trainers. However, it was through purchasing a Woodlander horse that she was introduced to Michael Beining when Lynne Crowden of Woodlander Stud donated some lessons. It was an extreme turning point in her riding and training career. Despite having trained and competed from novice to advanced level with some success, she suddenly noticed that her horses were going in a completely different way despite not always being mentally or physically designed to do the job and the results were beginning to get noticed! She credits German dressage trainer, Michael Beining with finally teaching her the correct use of the seat and fully understanding the German Scales of Training. Lisa has been taught by Michael for several years and finds that although demanding in wanting it done correctly, he is approachable and extremely patient. Lisa teaches all levels of rider including para and has a particular interest in teaching junior riders, many, of whom are now doing really well in dressage competitions and are interestingly always complimented on how well they sit in the saddle and use their seat!! Lisa particularly enjoys teaching the dressage academy and feels strongly that riders understand that the basic training foundations must be in place before attempting more advanced movements. If you cannot canter your horse in a balanced manner then you’re going to struggle to do flying changes! Dressage is a fantastic sport and if you think you’d like to give it a go, please give us a call. At Barguse, we pride ourselves in producing riders from beginners to advanced. We have a strong junior base and once our junior riders have a solid grounding in the basics we offer them more specialised training in the three disciplines. The dressage academy is aimed at those riders who wish to develop their knowledge and further their riding skills. 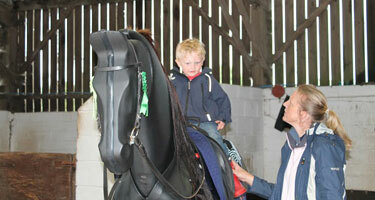 It is open to riders who own their own ponies or who wish to use ours. It is aimed at both juniors and senior riders who wish to learn in more depth about the German scales of training. This is fundamental in understanding what dressage is all about. These sessions are taught by Lisa who is a long standing pupil of German dressage trainer, Michael Beining. Lisa spent many years’ under Michael’s guidance learning the art of the correct seat and how your position can influence your horse. It does require discipline to want to achieve the correct way of going without taking shortcuts. 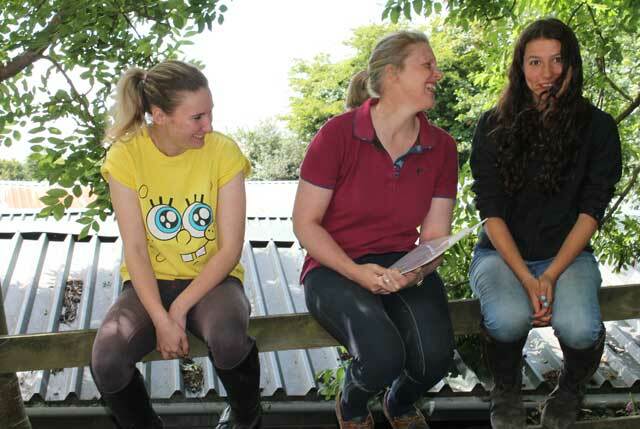 She hopes to convey to her pupils that although it’s hard work and at times frustrating, that the benefits long term for both the horse and rider are worth it. That is that the horse develops into a calm, happy, supple and flexible athlete who is willing to work with its rider rather than dealing with being pulled and “held” into position! These sessions run fortnightly at a cost of £15 for the hour. If you would like to attend or just come along to see how it works, please e-mail or contact the office.